You know the importance of the calls to action for your website: these buttons allow you to incite your visitors to buy your products, to read certain information, to participate in a conversation, to send you a message etc. They also improve your website navigation and your user-experience. 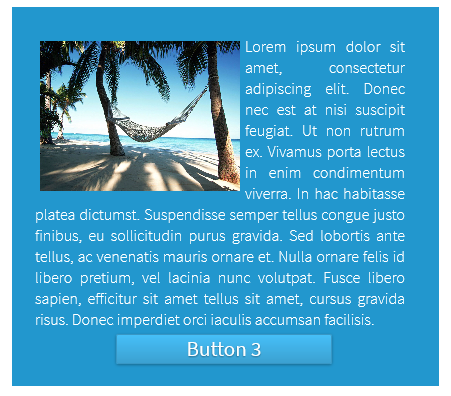 The SiteW Button block allows you to create and customize your callato-action buttons in just a few clicks. Once you are on the website creation page, start with inserting a Button block by drag and dropping the icon on your page. By default, the button text has a fixed size that you can change, by using the appropriate slider. You can also uncheck the option, in order to deactivate the fixed size, to get an automatic size. That way, the font size will adjust to the button dimensions. The Button at the bottom will allow you to go back to the block main settings.